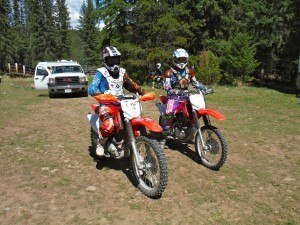 What: Thanksgiving Family Fun Ride and BBQ Where: Badlands Riding Area – Westside Rd., south of Invermere When: Saturday Oct. 7th, 11am – 3pm Meet at the usual staging area. 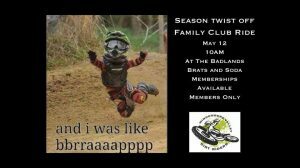 We will have an easy, family friendly course laid out, similar to last year. Playing cards are collected along the ride and those with the best poker hand will win a prize. Bratwurst and soft drinks will be available after the ride. Our upcoming club ride with take place on Sat. Sept. 15th, ride departs at 12pm. This will be an Intermediate/Advanced ride. Youths (12+) are welcome if they can ride at an Intermediate level. Stage at the Dog Leg / Sam’s Folly Lake Rec Site access road; Westside Rd. 21km.